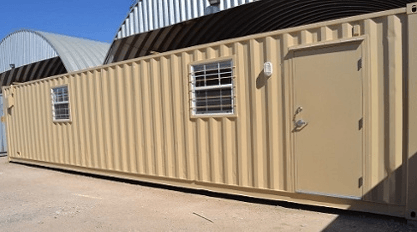 I learned that one of the general contractors we work with use our mobile storage containers to store their tools and material, but also shipments they get in that need to be secured such as windows, ceiling tiles, and anything breakable. Another general contractor told me that he uses our mobile storage containers as a "staging area" more so than for storage. He said they put our mobile storage containers side by side with a large piece of wood on the top of them to block the sunlight. He said it is a good place to not only store all of their items but for the workers to take a break from the hot sun. I spoke with a customer with a custom homes company, and he told me that they use our work and store unit on their job sites. He said that they work out of the office portion, and then they store all of the tile they needed for their project before it got used. He mentioned that it was very important to them to have a secure place to lock up these items since they are valuable and they were not working in the best part of town. 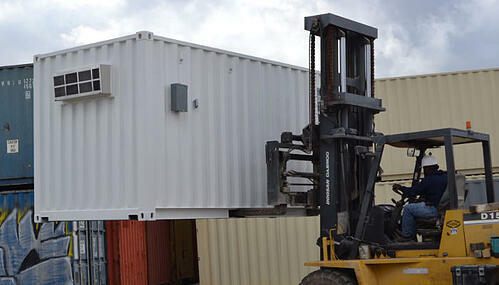 Thinking about using a shipping container for storage or as an office? Email sales@falconstructures.com.